Homemade soup always tastes better and is a great way to use fresh, natural ingredients. 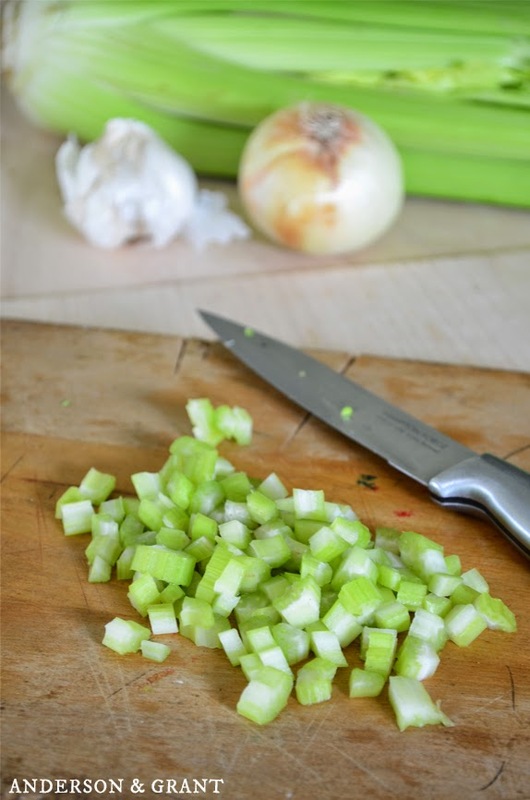 This recipe for homemade Cream of Celery Soup can be used in place of opening a can and uses up some of the celery you might have in the refrigerator before it goes bad. There is no comparison in taste between homemade soup verses store bought. Simmering fresh ingredients on the stove or in a crock pot is always going to win out in flavor over what has been preserved for sitting on a shelf. And while canned soup is convenient, it isn't necessarily healthy. Have you ever looked at the ingredients that are in a can of cream soup? I like knowing what is going into my food, and many things listed on the ingredients list are things that I've never heard of. 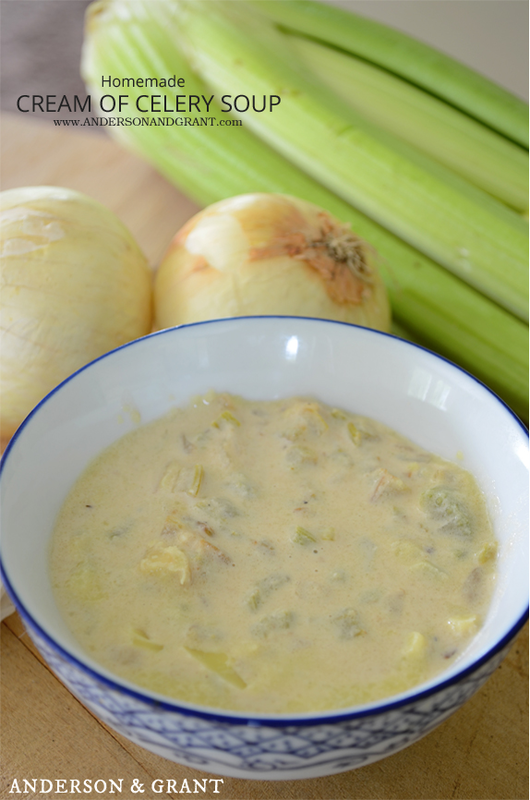 Something that add into different recipes like Green Bean Casserole or Chicken Noodle Casserole is Cream of Celery Soup. The good news is that this soup is really easy to make at home! I was throwing together some green bean casserole the other night for supper, and thought that I might as well go totally homemade with the dish. I cannot even begin to tell you how delicious the homemade soup is in this casserole. 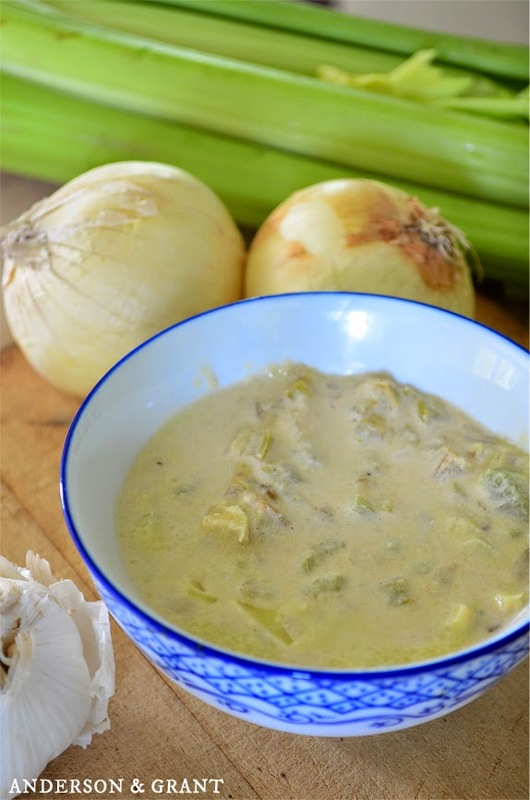 While I had a can of Campbell's Cream of Celery soup on the shelf, I also had all the ingredients to make my own....and you probably do, too! Oftentimes I find myself throwing away celery because it has sat too long in the refrigerator. But this recipe is a great way to use some of it up before the celery goes bad. I hate wasting food, so anytime that I can find I recipe to find away around that, I'm happy. The recipe printed below can be used to make any cream vegetable soup. Just substitute mushrooms, asparagus, or whatever you'd like in place of the celery. While it takes a bit more time than popping open a can, it is totally worth it for the taste. Melt the butter in a pan and then add the celery, onions, and garlic. Cook for about 5 minutes or until the ingredients are soft and translucent. Add the flour and cook one more minute. Pour in the chicken broth and milk. Stir the mixture until it is smooth. Bring the soup to a simmer. Then, reduce the heat and add the salt, pepper and sugar. Simmer uncovered for 15 minutes, stirring it occasionally. The soup will thicken as it simmers on the stove. 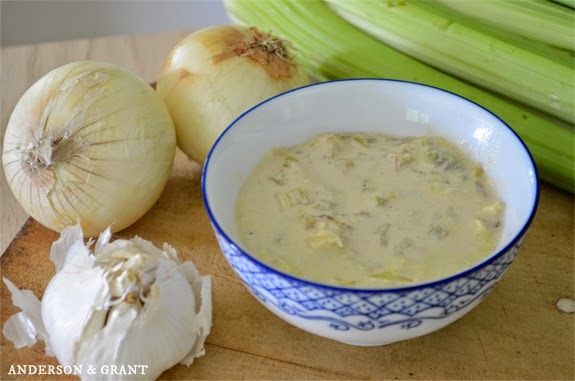 This homemade cream of celery soup can be stored in an airtight container in the refrigerator for three to four days if you are not ready to use it right away.